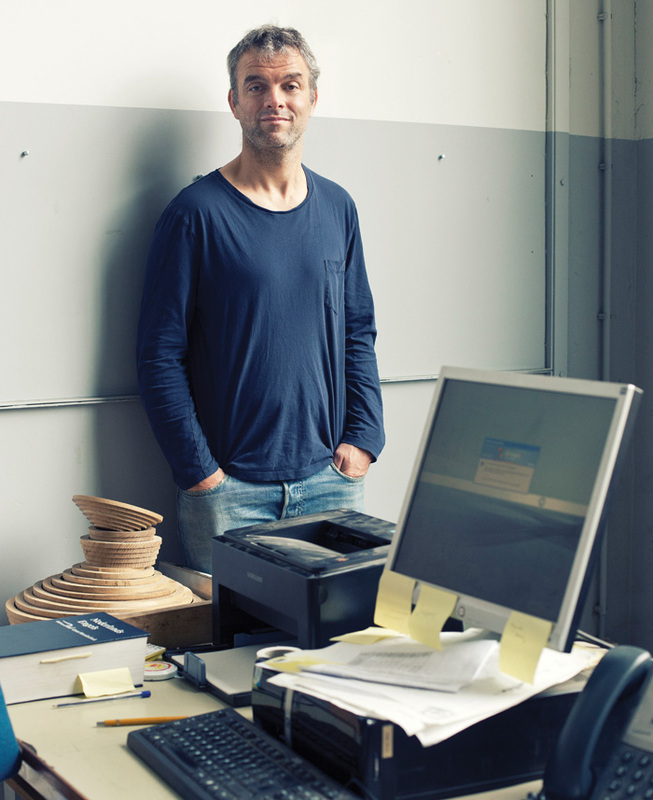 Piet Hein Eek is not your average designer — for a start, how many designers own 10,500 sq m of their own factory, offices, shop, warehouse, restaurant and gallery and employ 100 people? Hein Eek has come a long way since he graduated from the Design Academy Eindhoven in 1989, with his now immensely successful and much-copied Scrapwood Creations, a series of furniture pieces made from pre-used wood, assembled in a patchwork of colours, sizes and textures, overlaid with a thick gloopy varnish. His designs have always been based on melding traditional woodworking and craft skills with industrial manufacture. His spacious factory is supremely well laid out, with an impressive array of wood-working machinery, as well as production equipment for metal and ceramic. His design process encompasses his love of ruins. As a child he forced his father to take him on tours of ruins in the UK and he has recently converted an old ruined mill in the Perigord, France. ‘Ruins offer the possibility of fantasising about the past and the future, to connect both,’ he says. ‘It’s what I do in general. I take what’s there and make something new from it. Making something new is not a goal in itself. It’s inspired by nature in a very wide sense; by that I mean what the world, what mankind, what your knowledge, what material, provides. The relationship is based on personal interaction, initially with IKEA creative leader Karin Gustavsson. Hein Eek was particularly intrigued to be asked to design for the company’s factories where its products and techniques had fallen out of favour, such as soft-pine furniture production in Poland. He also liked the idea of making his designs accessible to everybody. Jassa, a collection of furniture made of rattan, inspired by the craft traditions of Indonesia and Vietnam, is mass-produced but with a hand-made aesthetic. Hein Eek initially worked with steel and rattan, but changed to 32mm-diameter red rattan to provide the structural support for his recliner and table, with a narrower gauge for the surface covering. The pieces look rather African, do not shout Hein Eek, and seem only a moderate tweak on existing designs in rattan. That, of course, is part of his philosophy. The products he seems to have enjoyed most were the textiles. These were also designed to be mass produced but to look handmade. 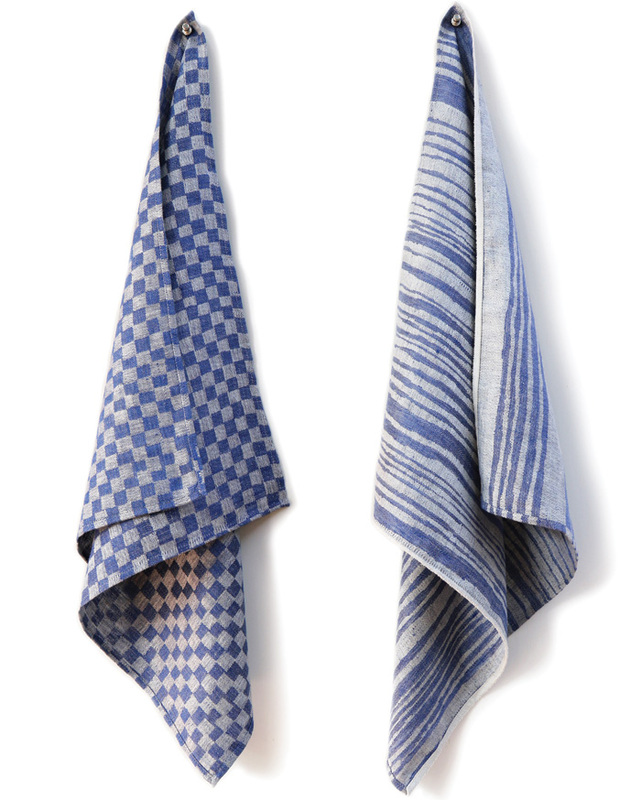 His very simple blue and white, wonky stripes and checks, were handdrawn by Hein Eek and digitalised in house for production on jaquard looms in Russia. His next IKEA collection (for 2018, already in production) is much wider: ceramics, pressed glass, bamboo lamps, a flat-pack, a chair in woven paper tubes, fabrics, towels, vases, shelves and a timber range of long benches with and without backs, plus a table and chair. It will be, by IKEA standards, a limited run of just 35,000. ‘At first I was annoyed that it will be for one season only but then I thought, in 10 years we only sell 5,000,’ he says. ‘You need time to understand the differences, but we inspired each other.’ Hein Eek’s office is stuffed full of objects and papers, but pride of place goes to his large drawing board and T square. A computer, just a few steps up from a typewriter, sits on his desk that is covered with hand drawings. ‘Everything has to have a reason. That’s the way I design. Then there’s no choice anymore. I make everything handdrawn because that way you see the proportions,’ he says. Hein Eek is already a cultural icon for Eindhoven and Dutch design. His shop, gallery and restaurant are the showpiece for the annual Dutch Design Week. He has also almost single-handedly revived his area, a former Phillips factory and transport centre. Now he is doing it in a more concrete way. His first architecture project of 10 housing units, with young architect Iggie Dekkers, was a very profitable success. ‘This is the first time I have ever collaborated in designing,’ he says. There are five other building projects that will be realised this autumn, including a minute home for a visiting artist and designers in the former transformer room, new gallery space, one new block of four dwellings and a conversion of a former Phillips transport maintenance building into housing that contains his own new home. In the not-too-distant future there will also be a 13-room boutique hotel. Much of the projects will be done by in-house production. Not bad for a designer repurposing scrap wood.